Note, if you are using Pixy for LEGO Mindstorms, the Pixy LEGO Wiki is tailored to your needs. For a good overview of Pixy, check out our Quick Start Guide. How do I teach Pixy an object? How can I tweak / improve Pixy's object recognition? Does Pixy support fiducials or unique object tags? What is the maximum distance that Pixy can detect objects? Can I replace the lens on Pixy? Does Pixy track/sense laser light? Does Pixy track/sense IR light? 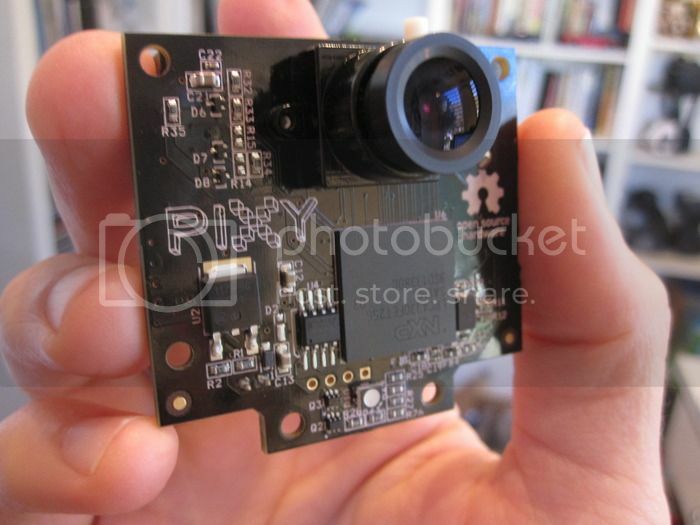 Can Pixy do face tracking, face detection, or facial recognition? Can I use my regular Pixy with LEGO Mindstorms? Can I use my LEGO Pixy with Arduino? I don't see my controller supported. What do I do? What licensing does Pixy's software/firmware/hardware have? Where can I find the latest PixyMon, firmware, Arduino libraries, LEGO modules, libpixyusb, etc? What kind of projects can I use Pixy for?